Ligretto Calculator - Website of seanmclark! Another Christmas holiday, another round of board games with the family. 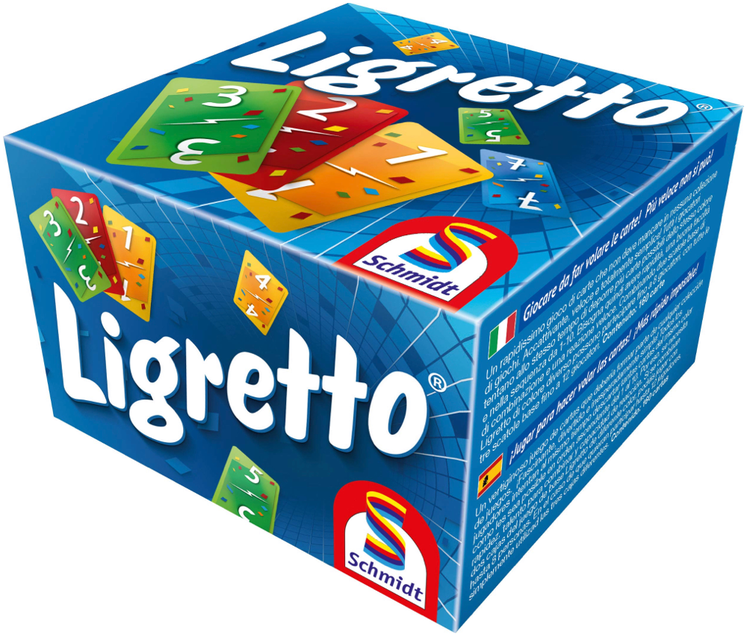 This time we broke out a jury-rigged version of Ligretto (built out of spare packs of marked playing cards). The game is great for big groups, provided you have plenty of space and a willingness to bang elbows. Ligretto includes big scores and multiple rounds—we play until a player hits 100 points, and with 7 or 8 players that can take 10 or more rounds. Once again a calculator comes in handy, so I’ve put together one in Mac Numbers to keep track of the ranked results. All you need to do is drop in the points awarded in each round into the game results tables below. 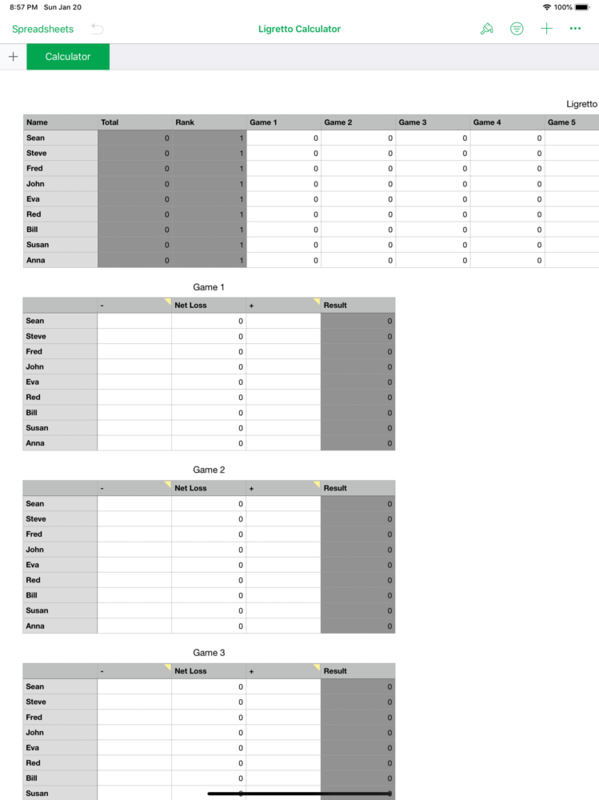 The spreadsheet does the rest, maintaining a running total in the summary table at the top. You’ll be able to keep track of the hose race from there.